On The Edge Of The Atlantic features 25 new paintings inspired by the beauty of the landscape and coastline of Ireland's west coast. 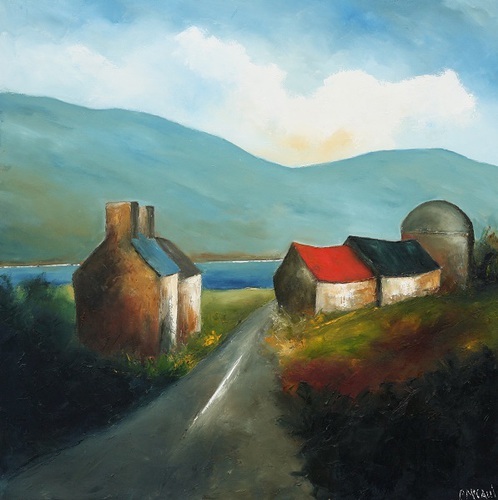 McCaul presents the Irish landscape in a series of colour filled, evocotive, images, where broad strokes are preferred to fine detail and where simple, uncluttered, compositions allow room for the viewer to get lost in the painting. 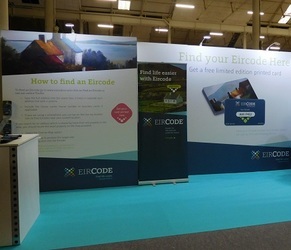 This is his first solo exhibiton in Galway. 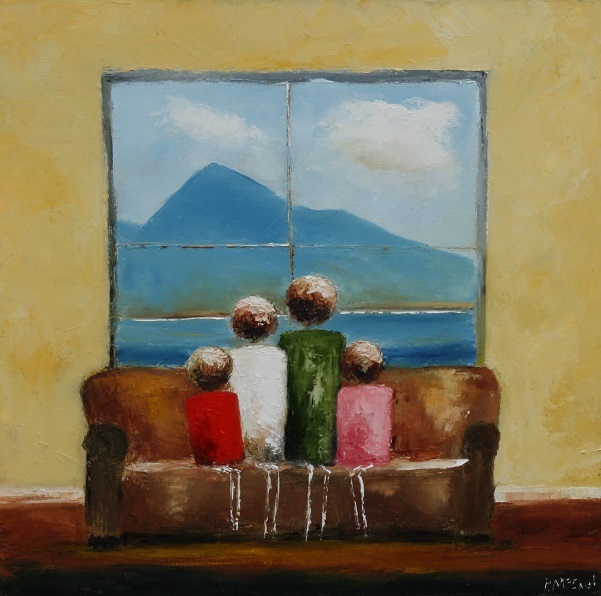 Notwithstanding his love of French and Italian painting, Padraig also sees himself within the tradition of the many great Irish artists who have depicted Achill and the west: “I see myself very much as coming from the tradition of Paul Henry and Roderic O’Conor.” he says. “There are elements in my paintings where I can see a direct influence from the likes of them, the colours, the strength. I don’t see vibrancy in a lot of Irish landscapes, sometimes they are almost too true to life. I use primary colours, blues and reds and crimsons, to elicit emotion. They are not just there to describe the landscape, I’m using them to stir an emotional response. 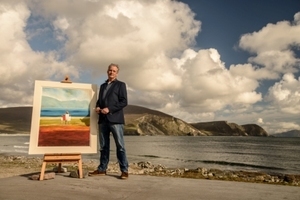 “My paintings are based on the Irish landscape but what I am really trying to get across is the feeling of it,” he continues. “I can paint a mountain 10 times and every time will be different, that’s not what matters, it’s how you convey the movement and the energy and the light around it. Padraig expands on his connection to Achill: “I got stuck in Achill in a good way. 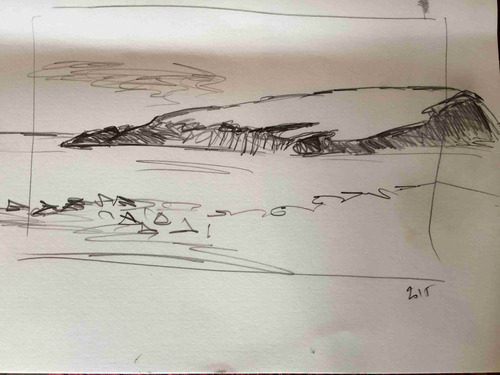 When I first started painting I thought this is great I can travel and go anywhere, but when I came to Achill for the first time it stopped me in my tracks. It has everything that a landscape artist would want, there is the sea, the mountains, the rolling bog, and the sky and the light that changes every hour of the day. McCaul is represented by the Doorway Gallery in Dublin and his paintings are in many international collections; “From the first time I started exhibiting I seemed to get a really good reaction from people who felt a connection to the paintings," he says. 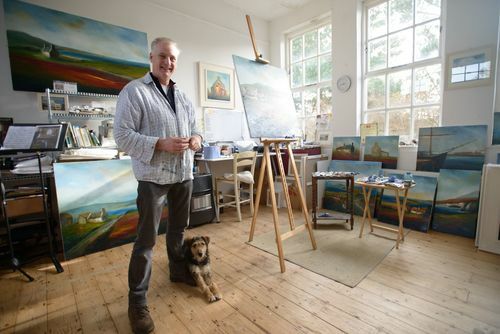 “I have been painting full time for 10 years now and always had a very strong response to the work and that subsequently translated into sales and galleries. 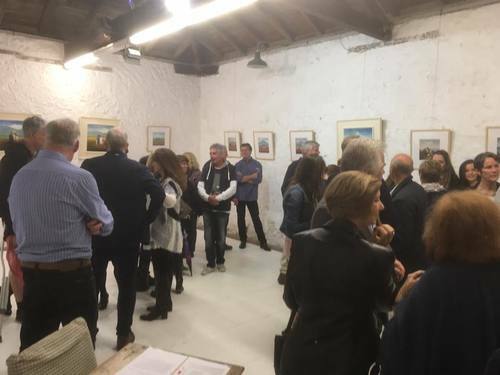 I have been working with the same gallery for the last 10 years in Dublin, also another five or six regional galleries around the country. Thankfully the response has been really strong throughout that time”. And what about The Harvest Ministers? “We put out an anthology two years ago on 12" Vinyl and download - 'You Can See Everything From Here' - and played a couple of shows promoting that and that was a nice way to put a full stop after my name with the band. (https://theharvestministers.bandcamp.com/album/you-can-see-everything-from-here). Will (Merriman) has continued writing and recording and there's a new Harvest Ministers' due out this year.